Laura Geller Baked Blush -N- Brighten Palette with Brush Now at QVC! | Top Beauty Blog in the Philippines covering Makeup Reviews, Swatches, Skincare and More! 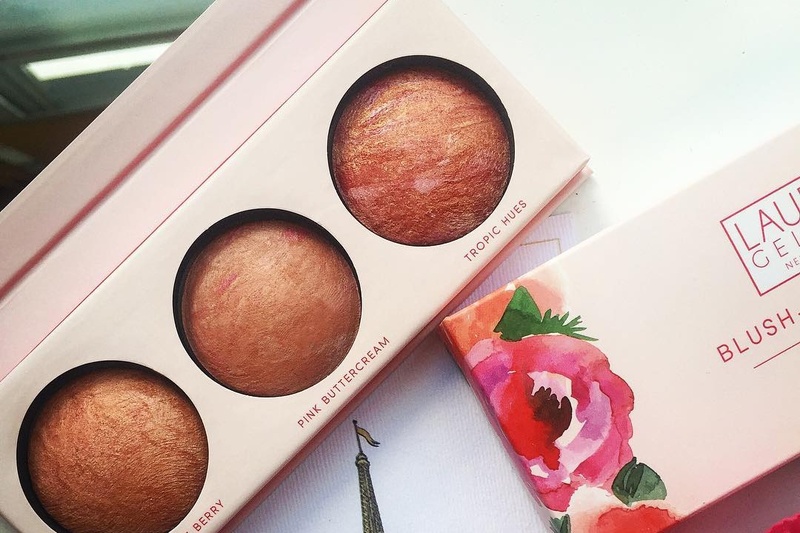 There is no wrong way to use these blushes! This Laura Geller Baked Blush-N-Brighten Palette combines best-selling shades Tropic Hues and Pink Buttercream, plus the new shade Peach Berry! This all-in-one convenient, portable palette is perfect for women who want a beautiful flush on the go. Create your own custom shade by mixing the blushes or use individually for a flush that's sure to turn heads. Featuring Laura Geller's iconic baking technique, the pigments are baked on a terra-cotta tile and provide a soft, luxurious texture. AVAILABILITY: Now online at QVC. Limited Edition.